Its a busy time at the day job, so this will be a quick post. 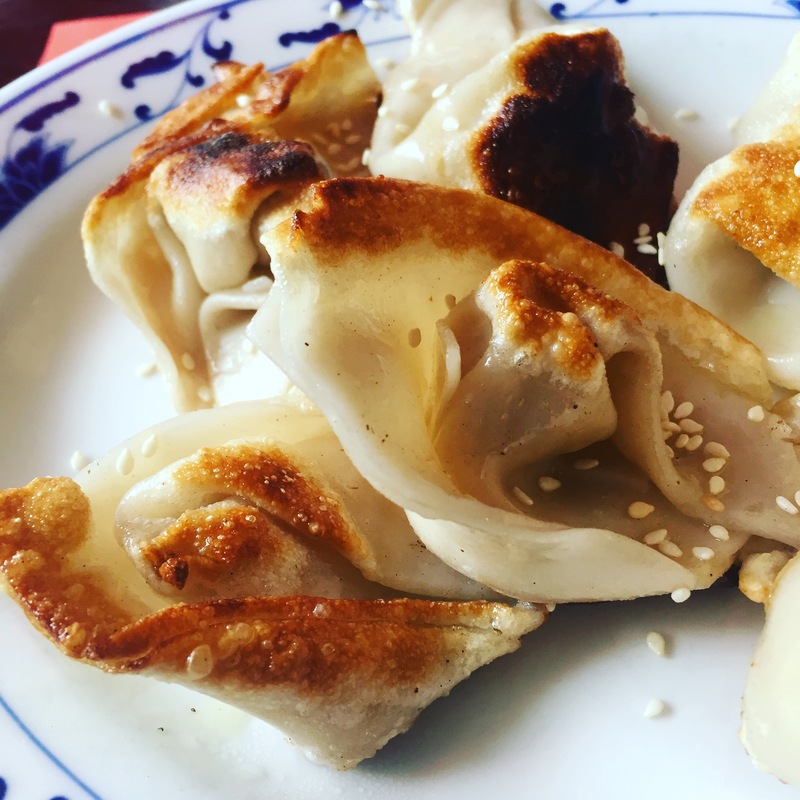 I have been to Great Wall twice before (here and here), but I was looking at the menu recently and realized there was still one dumpling left on the menu that I hadn’t yet tried, the Wonton with Hot Sesame Sauce. Typically this dish is made with boiled wontons that are served doused in spicy sesame sauce. Great Wall doesn’t take this approach; their wontons are pan-fried and served with sesame seeds scattered on top of them, with the sauce served in a side dish. The wontons were under-stuffed with pork, perhaps the smallest amount of stuffing I have ever seen in a wonton. 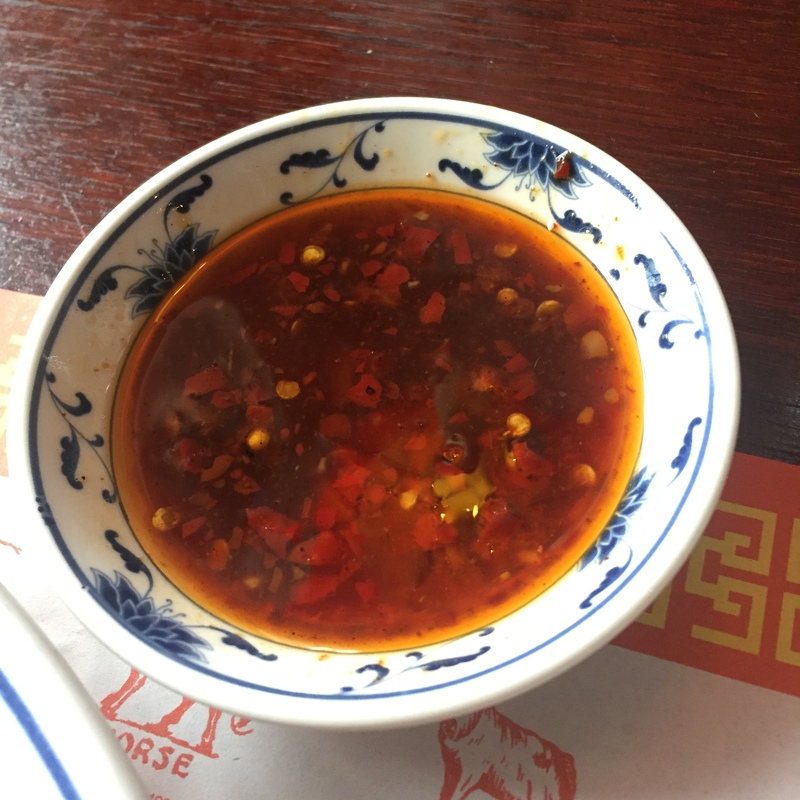 At first glance the sauce looked like it was just chili paste suspended in oil, but the oil was actually floating on top of a layer of sesame sauce. Once I mixed the layers together the sauce was really tasty, full of smoke, spice and nut flavor. Unfortunately the sauce dish was too small to dunk the wontons into, instead I had to pour the sauce out of the dish onto the wontons. If Great Wall stuffed a plumper wonton and served then doused in their sauce, I think they would have a really great dish. This entry was posted in Chinese, Sesame Sauce, Wontons. Bookmark the permalink.